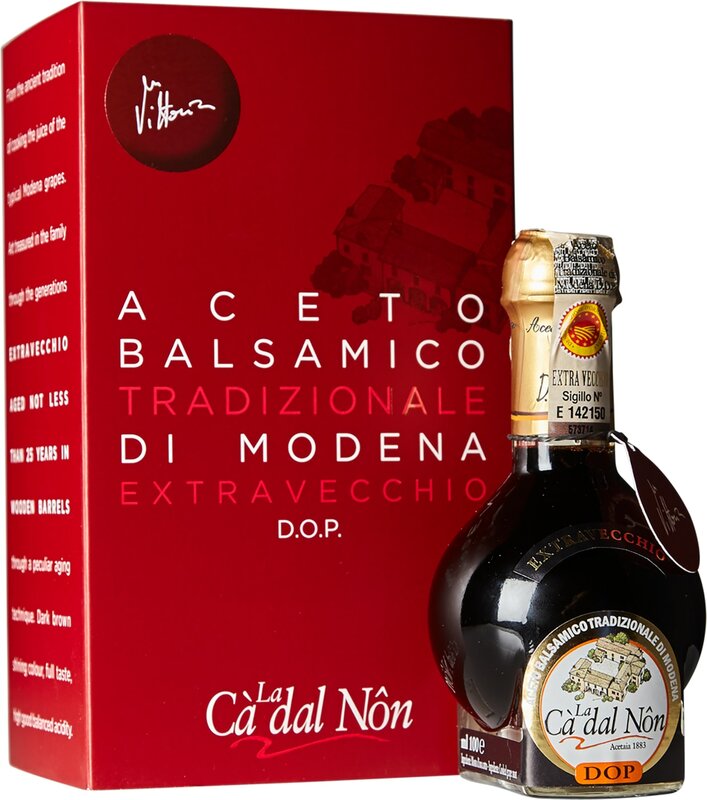 Cà dal Non Vittorio Aceto Balsamico Tradizionale di Modena Extra Vecchio DOP has been aged in a series of wooden barrels for over 25 years, and has an extremely thick and viscous consistency. This vinegar is special enough to be named after producer Mariangela Montanari’s father, a kind and loving man. What makes this Tradizionale vinegar so distinctive is that its final aging barrel is made out of rare cherry wood, which gives it more fruity notes.